I believe in miracles and I believe you do, too. I feel truly humbled because our friend and donor, U.S. missionary Dr. PJ, provided us with $50,000 to supply remote hospitals with lifesaving medicine and medical supplies. Until I received the news of this donation, I didn’t know how we were going to purchase the massive amount of medical aid that is critically needed. But now, we need YOUR help. That is why I’m challenging you, and all of our donors, to help MATCH Dr. PJ’s $50,000 gift so we can now SHIP the emergency aid into these isolated areas. Transporting these lifesaving medicine and medical supplies into the country is extremely dangerous and expensive. Access to hospitals and people in need is already difficult with fighting and now the current weather conditions is threatening to further isolate these areas that are in desperate need of help. September is the wettest month of this season. Flooded roads become nearly impassible, leaving hospitals further unable to treat patients. During this time, our team on the ground relies on unimog trucks that are designed to move across difficult terrain. 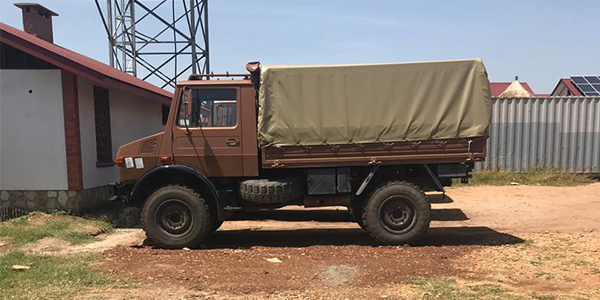 These trucks have been lifesaving and is the only way hospitals and suffering civilians are able to receive medicine. Right now, disease levels are shocking and innocent people are at risk from these preventable illnesses. That’s why I’m praying we can double our impact by matching Dr. PJ’s $50,00 donation. 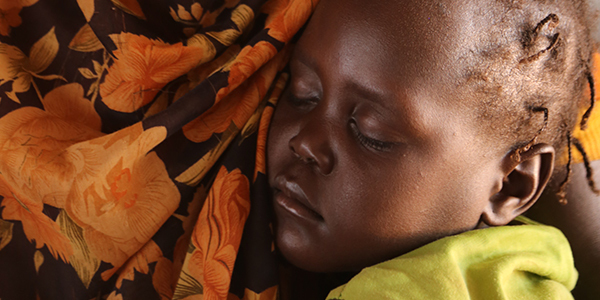 Please don’t miss this opportunity to help transport and supply hospitals with lifesaving medicine so those who are suffering, like Regina, can be helped. The 39-year-old is one of millions of refugees who are severely sick and traumatized from the violence and war. Her husband was shot dead, leaving her to care for her two young daughters alone. Regina was scared and knew her family wasn’t safe. They had no choice but to flee. They left all their belongings behind and crossed the border for safety into a crowded camp. Although her family was out of harm’s way, there was still both emotional and physical pain remaining. Regina was diagnosed with cancer; limited access to medical care caused the disease to rapidly progress and she could no longer walk. Since hospitals are far and few in between, Regina was sent to three separate clinics before finally finding a clinic that had blood for a transfusion. At this time, doctors tell me it’s unknown if Regina will survive, leaving her two daughters without parents and no one to care for them. Can you imagine their fear? While it’s unknown if Regina will survive, we can still do our part and make sure others receive the medical care they need to live a healthy and happy life. That’s why I am so grateful for donors, like you, who have the opportunity to help us send medicines, vaccines, sutures, syringes, malaria testing kits, IV fluid bags, and other critical supplies. There’s never been a better time than this for you to send a gift to help bring healing and peace of mind. We’re doing everything we can on the ground to deliver lifesaving humanitarian aid. But we can’t do it without you. So please, will you help and give what you can? 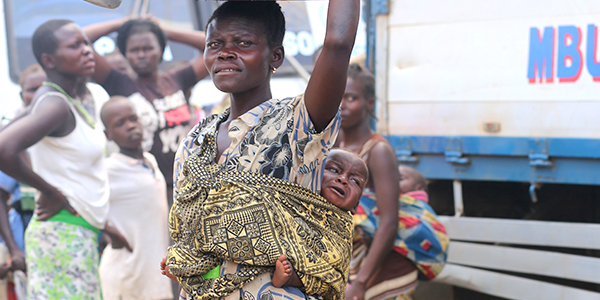 Your gift will bring critical supplies and medicine to refugees, like Regina, in crisis. P.S. Please donate now and help us match Dr. PJ’s $50,000 gift. 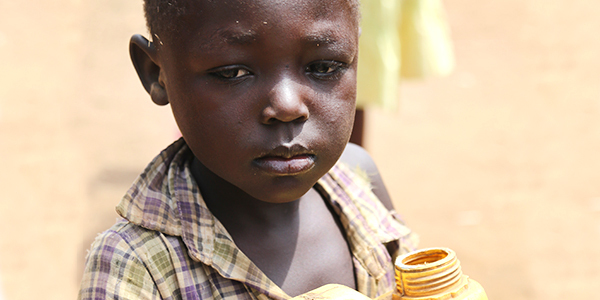 Together, we can reach the sick and suffering so they can receive the care and emergency aid they so desperately need.